In honour of Breast Cancer Awareness Month, this week's Friday 56 and Book Beginnings is a little different. I am featuring a book currently on tour over at TLC Book Tours. If you or a loved one is suffering from breast cancer or affected indirectly by it, I urge you to spread the word about this inspiring new book. I hope it may bring you some comfort. Please read on for an excerpt. Synopsis of A Breast Cancer Alphabet by by Madhulika Sikka: The biggest risk factor for breast cancer is simply being a woman. 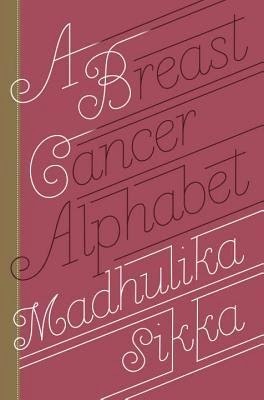 Madhulika Sikka's A Breast Cancer Alphabet offers a new way to live with and plan past the hardest diagnosis that most women will ever receive: a personal, practical, and deeply informative look at the road from diagnosis to treatment and beyond. You get the point. You have been diagnosed with a horrible, possibly deadly, disease. You will go through a wretched regimen of treatment and your body will be (temporarily) wrecked as you do. The embodiment of your femininity, the breast, is the treacherous villain in this drama, and you are the one who feels guilty. How can this be? Well, this must have been my fault, right? Looking at that list, I tend to focus on the things that were in my control—weight, birth control pills, breast feeding, exercise, childbearing. Of course I must have done something wrong to cause this, and all I can feel is guilty. With the passage of time you realize this guilt is almost irrational. But that is not what it feels like in the moment. I think that is because not only do you feel guilty that you have this disease you might have been able to prevent (not true, but . . .) but also you start to feel guilty because of what this is doing to the people around you. You feel guilty that your life at home (which you might have been holding together with duct tape and chewing gum, if truth be told) is going to be severely disrupted by the fact that you have this disease. Your family has to adjust to a new you, a sometimes needy you, a you that isn’t really you but a vessel for this disease at this moment. You feel guilty about how this might disrupt things for people around you outside your family. For me it was the strain put on my colleagues who were picking up my slack. They couldn’t have been more supportive and generous and loving, but that never stopped me from feeling guilty. You also feel guilty when you hear someone else’s story that is worse than yours and so maybe you shouldn’t be feeling so bad about what you are going through. And, in case you thought there was nothing that could compound your feelings of guilt, there is. That guilt feels worse because everyone tells you how lucky you are compared with X. There is probably nothing worse than someone who doesn’t have cancer telling you how lucky you are. Luck is when you win the lottery (see “O Is for Odds”), not when you get breast cancer. There is no hierarchy of cancer by which you must abide, where you have to be upbeat and positive because there is someone who has a worse breast cancer than you. That logic might make sense in some detached, objective way, though in fact it is not true. You, the breast cancer patient, are neither detached nor objective. You are intimately attached to this disease, and everything about it is subjective. So, permission granted to feel terrible about what you are going through and to not feel guilty in the slightest about any of it, okay? Here are the facts about breast cancer. It is an insidious, wretched disease, whose treatment can be worse than the disease itself. You did nothing wrong; you are not being punished for something you might have done in your current life, or your past lives for that matter. The truth is we don’t really know what causes breast cancer. Ultimately there is one thing we do know: if you have breast cancer, you have some rogue cells that decided to do their own thing and play havoc with your body. And that is nothing to feel guilty about. 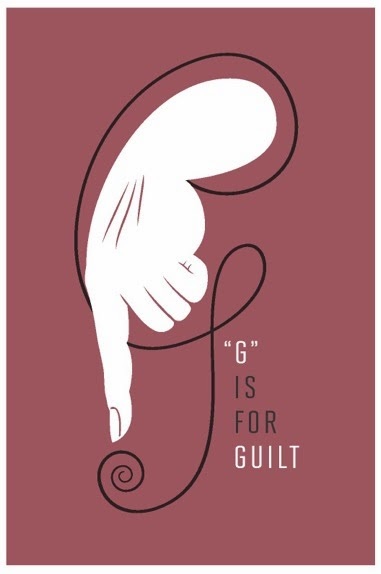 Excerpted from A Breast Cancer Alphabet by Madhulika Sikka. Copyright © 2014 by Madhulika Sikka. Published by Crown Publishers, an imprint of the Crown Publishing Group, a division of Random House LLC, a Penguin Random House Company. 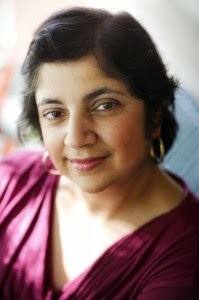 Visit Madhulika’s website for more information. Great post and very timely. Thanks as always for stopping by, JC! It's a unique way to put the book together. Learned a lot just reading G.
While it's hard not to be ignorant of the causes, prevention and treatments for breast cancer this isn't really something I've paid much personal attention too since I have no genetic predisposition. Seeing that neither did the author makes me more interested in this book. Thanks for sharing! I wasn't sure what to expect under Guilt, but I am not surprised that women love do guilt-trip themselves when they clearly are not at fault in anyway. That's a sad little realization. I am a breast cancer survivor...thanks for featuring this book. This sounds like a great resource for breast cancer patients. Here's the link to my Friday post: House Rules. I think everyone should read this book. I've seen it making the rounds and it's a wonderful idea! Thanks for sharing. I read this twice and would love to read the book.